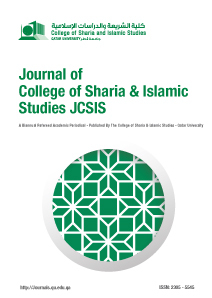 This research aims to discuss the usul principle of disregarding the narration of the non-jurist companion when it contradicts the qiyas (analogical reasoning) that Isa ibn Abban attributed to the Hanafi school of law. Many of his students mentioned Abu Hurayrah, Anas bin Malik, and others as examples when discussing this principle. 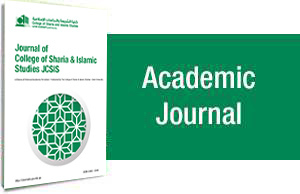 This research will analyse this issue by collecting the narrations of Anas from the books of Hanafi jurisprudence and will investigate both the incidents in which the Hanafis utilized these narrations and the incidents in which they disregarded them. I will then subject my findings to various forms of analysis in order to understand the reasons for the rejections of such narrations. All of this will be used to reach a grneral conclusoion that evaluates the statement of Isa ibn Abban regarding Hanafi usul and their application within their jurisprudence. This research concludes that the Hanafis did, in fact, give consideration to the narrator’s knowledge of jurisprudence in certain matters, especially when preferring the narrations of a jurist narrator to a non jurist narrator. However, the status of the narrations of Anas bin Malik, in particular, was considered the same as those of the other companions. Rather, the Hanafis referred back to their other principles of distinguishing between the decisive and non-decisive texts, accepted the narrations of Anas in many places, and sometimes even favoured them over traditions narrated by companions better known for their knowledge of jurisprudence, over qiyas (analogous reasoning), and over other principles. This conclusion indicates that the argument put forth by Isa ibn Abban describing this Hanafi usul principle is in need of further consideration. • Al-Ayni, Abu Muhammad, Mahmoud bin Ahmad, Al-Binayah Sharah Al-Hidayah, (In Arabic), (Beirut: Dar Al-Kutub Al-Ilmiyyah, 2000), 1st ed..
• Al-Bukhari, Abd alAziz bin Ahmad Kashf Al-Asrar, (In Arabic), (Dar Al-Kitab Al-Islami). • Al-Dahlawi, Al-Insaf fi Bayan Asbab Al-Ikhtilaf, (In Arabic), (Beirut: Dar Al-Nafais, 1404 A.H.), 2nd ed..
• Al-Jassas, Ahmad bin Ali, Sharh Mukhtasar Al-Tahawi, (In Arabic), (Dar Al-Bashair Al-Islamiyyah, 2010), 1st ed..
• Al-Jassas, Ahmad bin Ali Al-Fusul fi Al-Usul, (In Arabic), (Wizarat Al-Awqaf Al-Kuwaytiyyah, 1994), 2nd ed..
• Al-Kasani, Ala Al-Din Abu Bakr bin Masud, Badai Al-Sanai, (In Arabic), (Dar Al-Kitab Al-Alami, 1986), 2nd ed..
• Al-Manjabi, Jamal Al-Din Abu Muhammad Ali ibn Abi Yahya, Allubab fi Al-Jami Bayna Al-Sunnati wa Al-Kitab, (In Arabic), (Beirut: Dar Al-Aqram, 1994), 2nd ed..
• Al-Qarafi, Shihab Al-Din Ahmed ibn Idris, Nafais Al-Usul fi Sharh Al-Mahsul, (In Arabic), ed. Adil Abd Al-Mawjud (Maktabat Nizar Mustafa Al-Baz, 1995), 1st ed..
• Al-Quduri, Ahmad bin Muhammad, Al-Tajrid, (In Arabic), (Cairo: Dar Al-Salam, 2006), 2nd ed..
• Al-Sanani, Muhammad ibn Ismail, Subul Al-Salam, (In Arabic), Dar Al-Hadith). • Al-Shashi, Nitham Al-Din Ahmad ibn Muhammad, Usul Al-Shashi, (In Arabic), (Beirut: Dar Al-Kitab Al-Arabi). • Al-Shaybani, Muhammad bin Al-Hasan, Al-Asl, (In Arabic), (Beirut: Dar Ibn Hazm, 2012), 1st ed..
• Al-Sarakhasi, Muhammad Ibn Ahmad, Usul Al-Sarakhsi, (In Arabic), (Beirut: Dar Al-Marifa). • Al-Samani, Abu Al-Muthaffar, Mansur bin Muhammad, Qawati Al-Adillah, (In Arabic), (Beirut: Dar Al-Kutub Al Ilmiyyah, 1999), 1st ed..
• Al-Tahawi, Ahmad Abu Jafar, Sharh Mani Al-Athar, (In Arabic), ed. Muhammad Zuhri Al-Najjar, (Beirut: Dar Al-Kutub Al-Ilmiyyah, 1399 A.H.), 1st ed..
• Al-Tahawi, Ahmad Abu Jafar, Sharah Mushakil Al-Athar, (In Arabic), ed. Shuayb Al-Arnaut, (Muassasat Al-Risalah, 1994), 1st ed..
• Al-Turkumani, Abd Al-Majid, Dirasat fi Usul Al-Hadith ala Manhaj Al-Hanafiyyah, (In Arabic), (Damascus: Dar Ibn Kathir, 2012), 1st ed..
• Al-Zarkashi, Abu Abdillah Badr Al-Din, Al-Bahr Al-Muhit fi Usul Al-Fiqh, (In Arabic), (Dar Al-Kitab, 1994), 1st ed..
• Al-Zaylai, Uthman bin Ali Fakhr Al-Din, Tibyin Al-Haqaiq Sharh Kanz Al-Daqaiq, (In Arabic), (Cairo: Al-Matbah Al-Kubra Al-Amiriyyah, 1313 A.H), 1st ed..
• Al-Zabidi, Abu Bakr, Al-Jawhrah Al-Nayyirah, (In Arabic), (Al-Matbah Al-Khayriyyah 1322 A.H.), 1st ed..
• Bedir, Murteza, An early response to shāfi’ī: īsā b. Abān on the prophetic report (khabar), Islamic law and society, 2002, volume 9, issue 3, pages 285 – 311. • Ibn Abi Hatim Al-Razi, Al-Jarh wa Al-Tadil wa Adillatuhu, (In Arabic), (Beirut: Dar Ihya Al-Turath Al-Arabi, 1952), 1st ed..
• Ibn Abidin, Muhammad Amin ibn Omar, Hashiyat Ibn Abidin, (In Arabic), (Beirut: Dar Al-Fikr, 1992), 2nd ed..
• Ibn Hazm, Abu Muhammad Ali ibn Ahmad, Al-Ihkam fi Usul Al-Ahkam, (In Arabic), (Beirut: Dar Al- Afaq Al-Jadidah). • Ibn Mazah, Abu Al-Mali Burhan Al-Din Mahmud bin Ahmad, Al-Muhit Al-Burhani fi Al-Fiqh Al-Numani, (In Arabic), (Beirut: Dar Al-Kutub Al-Ilmiyyah, 2004), 1st ed..
• Ibn Qudamah, Abu Muhammad Muwaffaq Al-Din Abdullah ibn Ahmad, Al-Mughni, (In Arabic), (Maktabat Al-Qahirah 1968). • Juynboll, G.H.A. (Re)appraisal of some technical terms in hadīth science, Islamic Law and Society, 2001, Volume 8, Issue 3, pages 303 – 349. • Sadeghi, Behnam, The Authenticity of Two 2nd /8th Century Hanafi Legal Texts: the Kitāb al-āthār and al-Muwatta› of Muhammad b. al-Hasan al-Shaybāni, Islamic Law and Society, 2010, Volume 17, Issue 3, pages 291 – 319.